Nynke van Vliet (1967). After graduating from the Art Academy in Utrecht, she immediately began working as an independent party. And successfully! After half a year she received a starter’s stipend so she could design her ideas even better. To a great extent her interest in simplicity and functionality set the tone for her work. Whether it involves designing a piece of furniture or an implement or the graphic design for a corporate style, Nynke has an unmistakable solid style of working which is not only recognisable but also very natural, and in which quality comes foremost. 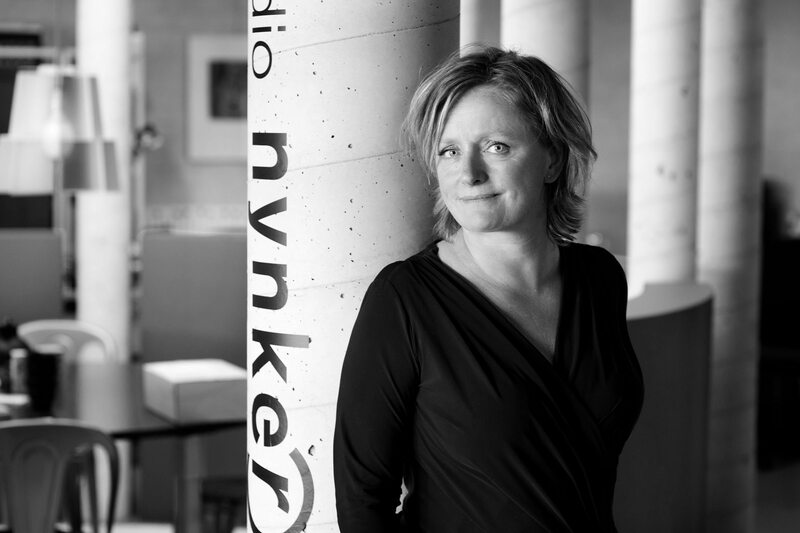 In addition to the products she designs, makes and sells on her webshop, Nynke likes working by order. This can be a 3D project, such as the layout of an office, shop or food and beverage area, but also 2D, such as the (graphic) design of a logo and a corporate style. She tackles every project her own way. Quality and simplicity are always recognisable in her work. Of course she delivers what is agreed upon and it is a pleasure to work with her…! Once the interior design or graphic job is ready, disruptive components that are not in keeping with the original design surface nearly automatically during daily use (corporate style monitoring). Or adaptations, extensive or small, are required. The client may also want to interact on ideas that are in play in the company and that may require redesigning. In that case, it is of interest to the client to sign a contract or pay for subscription so that he or she can call on Nynke’s services based on a fixed monthly fee. Nynke will monitor with a keen eye and pick up what is required. Thus you bring home quality and guarantee continuity.